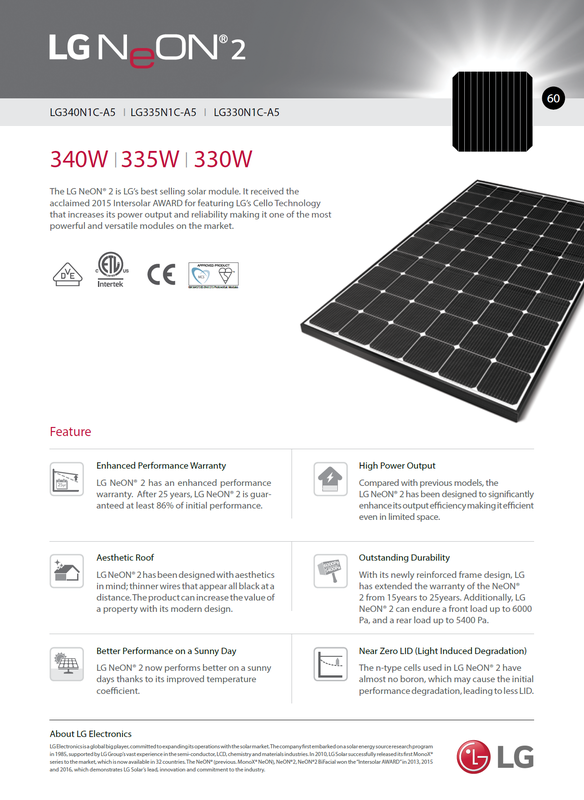 The LG NeON® 2 is LG’s best selling solar module. 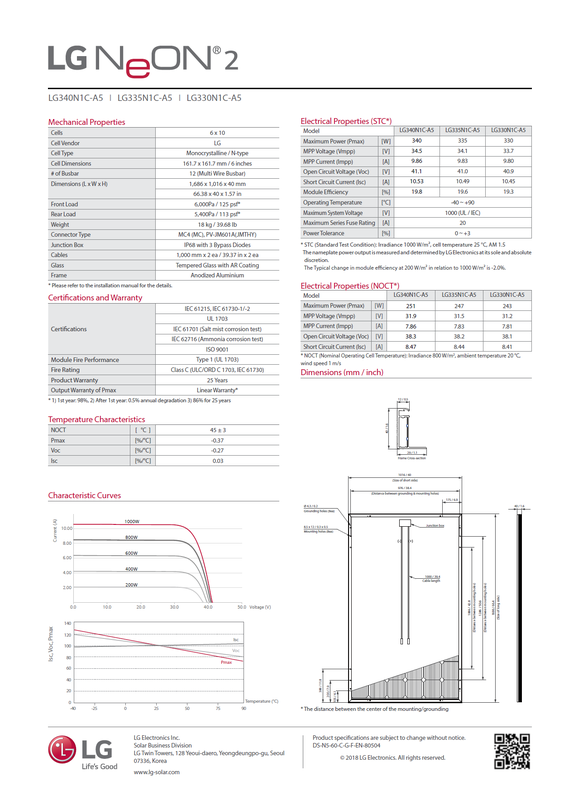 It received the acclaimed 2015 Intersolar AWARD for featuring LG’s Cello Technology that increases its power output and reliability making it one of the most powerful and versatile modules on the market. 25 years product warranty.